Shocked Barry Downes thought his new purchase had extra packaging when he opened the box only for a “piece of string” to start wriggling. He quickly managed to trap the tiny, straw-coloured corn snake under a saucepan lid and alerted the RSPCA. As leading store Argos launched an investigation into the incident today, Mr Downes described how his shopping expedition for a new Russell Hobbs black kettle in London’s Kensington High Street last week came with surprise free gift. The RSPCA dispatched Animal Collection Officer Ella Davis to collect the snake from Mr Downes’ home in Paddington, and took it for specialist care at the charity Putney Hospital. It is believed the snake only recently hatched from an egg. She said: “Barry must have been quite shocked when he realised there was a snake in his kettle! He explained to me that he had some problems with his sight so when he first saw the snake he thought she was string or part of the plastic packaging. Only when he picked her up did he realise she was alive! Corn snakes are native to North America but are one of the most popular reptiles kept in captivity and have a reputation for getting into tight corners. 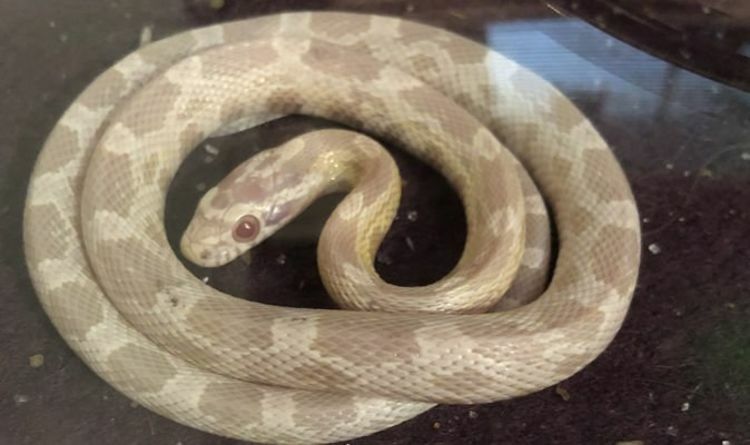 In its recent review of animal rescues for last year, the RSPCA told how a corn snake had slithered out of a cereal box and escaped into a dishwasher. The animal welfare charity always advises the public never to handle unconfirmed species of snakes or stowaway animals from abroad but contact its emergency line for advice on 0300 1234 999. It currently has dozens of reptiles in care for waiting to be re-homed to knowledgeable owners. For more information about the care of exotic pets please visit www.rspca.org.uk/exotics.